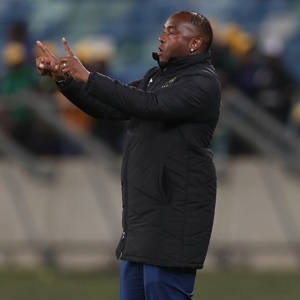 Cape Town - Is the honeymoon over for Benni McCarthy? After starting the season on a high note, the wheels seem to have come off for McCarthy’s Cape Town City following their third successive loss last weekend. City players seem to have taken their MTN8 loss too hard and have gone on to lose two more games in the league. The sooner they recover from their mini slump the better if they are to defend the Telkom Knockout title they won last year. The Citizens begin the defence of their title away in Polokwane – ironically where they lifted the trophy – against high-riding Baroka FC this afternoon. Baroka are still reeling from their first loss of the season, which was inflicted by defending league champions Bidvest Wits last weekend. They will want to bounce back immediately. After the Students burst their bubble, they are no longer under the pressure created by the fear of losing and they should approach this game positively. Things have been going well for Bakgaga, who still lead the pack following their brilliant start to the season. They should fancy their chances playing a side that is under pressure to win and that could go on to defend their title. After tinkering with his winning team, McCarthy should have learnt from his mistakes by now and be in a position to move on. City need a confidence booster and will look forward to using this game for that purpose. In another game this afternoon, Chippa United will host Mamelodi Sundowns in East London. Games between these two teams have always lived up to expectation. This afternoon’s game should be no different. Chippa registered their first victory in six matches last weekend, and this should give them the belief that they have turned the corner following five consecutive draws. Despite these stalemates, Teboho Moloi’s charges have been playing well and probably deserved a lot better. Sundowns go to this game as underdogs following two back-to-back defeats to Kaizer Chiefs and AmaZulu. They are looking for a response and Pitso Mosimane will be hoping for a better outcome. It should be an entertaining game of football, with end-to-end stuff expected. The draw for the quarterfinals will be conducted after today’s games.